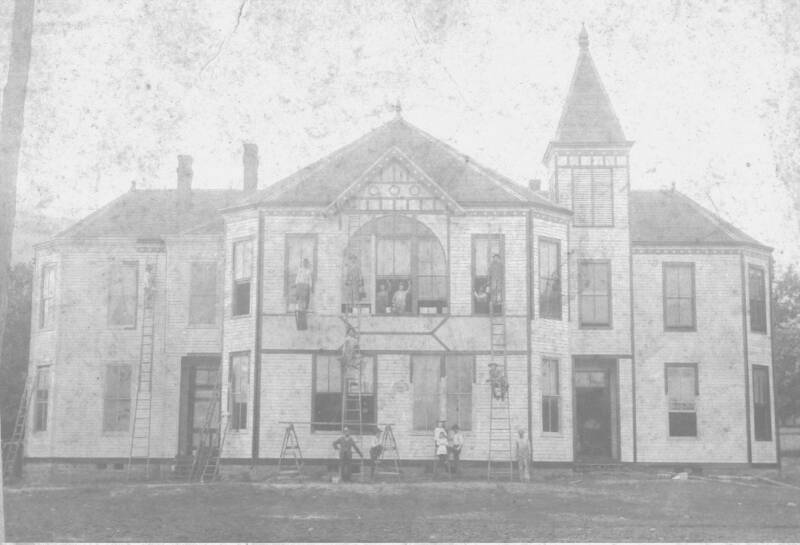 This photograph shows the old frame school building at South Pittsburg around 1910. You will notice that the building is getting a facelift with a new coat of paint. This unique building was built in 1898 and was located facing Cedar Avenue between 5th and 6th streets. 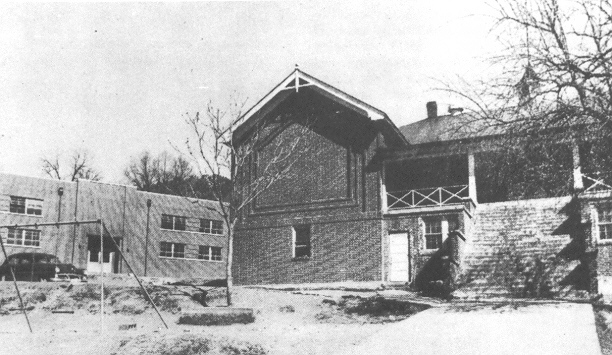 The city removed the school from the building and into a new modern brick structure in 1924. The building was being used as an apartment complex when it burned in 1931. 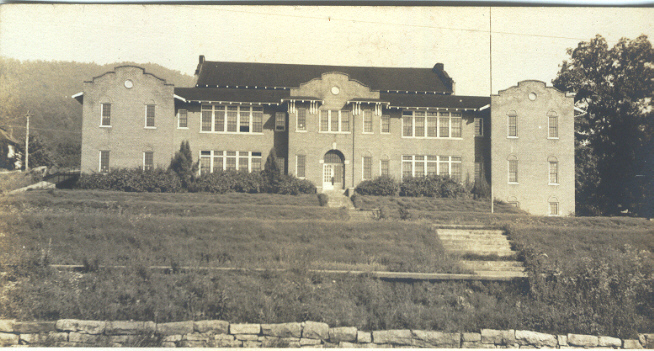 This photograph shows the brick South Pittsburg, Tennessee public school building around 1930. This building, which stood facing Cedar Avenue between Seventh and Eighth streets in block 39, was built in 1924 and replaced the old frame building that stood two blocks north of this location. This building was used by both grade and high school students until a modern grammar school was constructed in 1938. 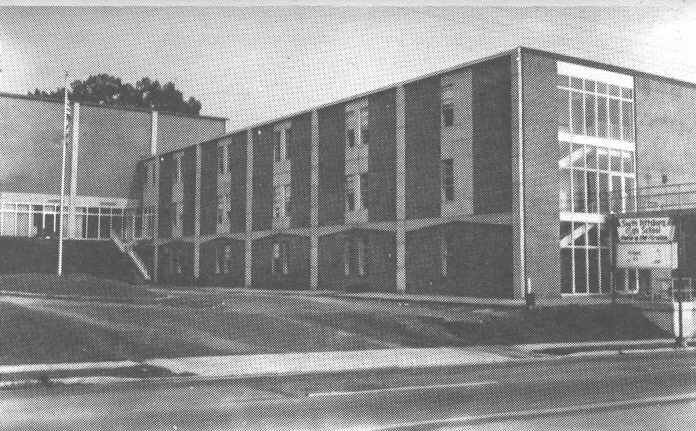 This building, which was being used as a high school at the time, was razed and replaced with the present modern high school facility in 1965. 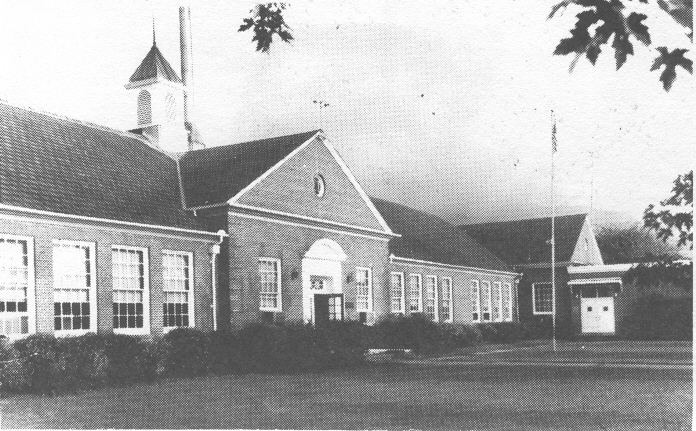 This photograph shows the McReynold's High School and gymnasium at South Pittsburg, Tennessee about 1948. This African-American public school building was built in 1921 and was located in front of the old City Cemetery at the foot of Whiteacre Point. The school building was abandoned in 1965 after Marion County schools became integrated. The historic building was burned down that same year by an arsonist. Today, the old gym (pictured on the left) is home of the City of South Pittsburg street department. 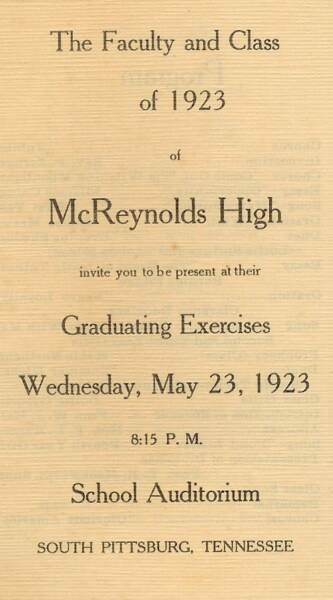 Click here to read McReynolds' history. Click here to view McReynolds web site. The South Pittsburg Elementary School building pictured above was built in 1938 facing Elm Avenue between Second and Third streets on what was once the old city park. 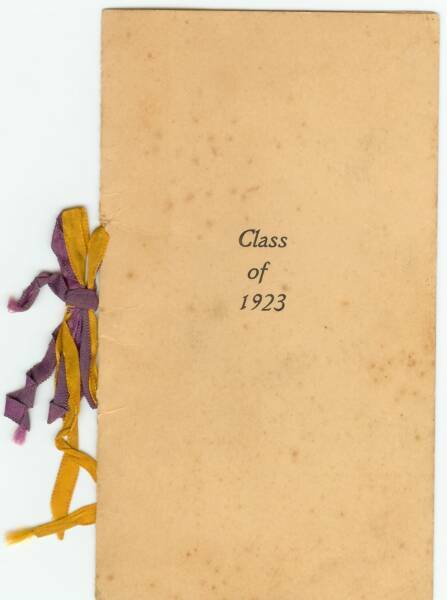 The grammar school was orginally combined with the high school, but was seperated that year due to increased student enrollment. This building burned to the ground on February 25, 1993. A modern elementary school facility was constructed in its place the next year. The new building still uses the lunch room from the old school building, which was saved and incorporated into the new structure during construction. The picture above was taken in 1973. The South Pittsburg High School building pictured above was built in 1965 facing Cedar Avenue between Seventh and Eighth streets. It replaced the old public (high) school building built in 1924 that stood at this same location, but was razed to make way for a modern facilty. The school building is still in use today. The picture above was taken in 1973. 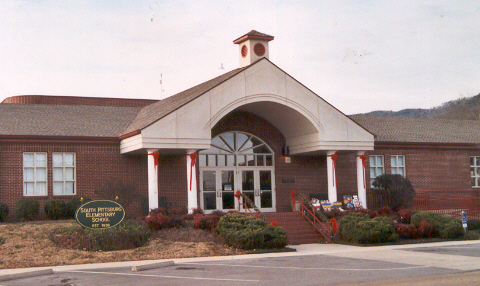 The new South Pittsburg Elementary School front entrance as it appeared in December 2004 facing Elm Avenue. The new South Pittsburg Elementary School as it appeared in December 2004. Built in 1994, it replaced the old structure that burned the year before at the same location on Elm Avenue. 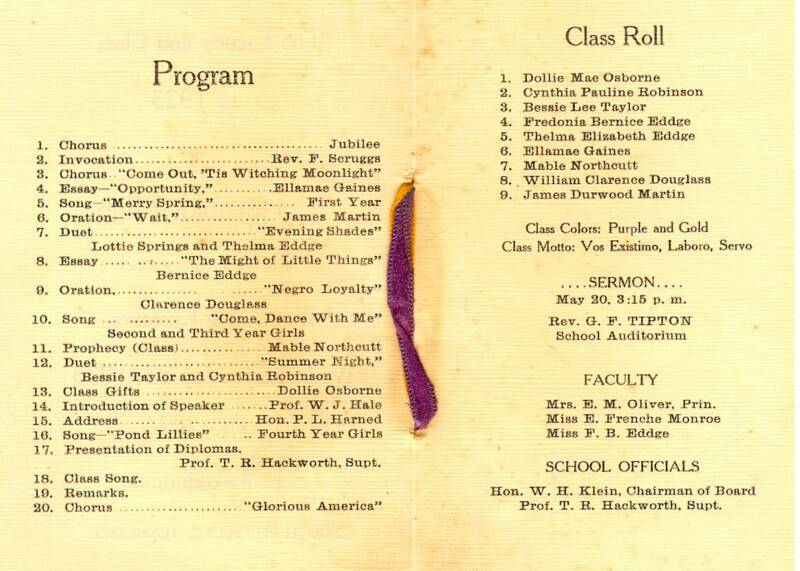 Program for first graduating class of McReynolds High School at South Pittsburg, Tennessee in 1923. His mother, Mabel Northcutt, was in the class and later bacame a teacher.